It is said in Pakistan that Pathans are not an ethnicity but a state of mind. To us, growing up in the nineties, watching Pakistan win unwinnable matches against India in Sharjah, the Pakistani cricketer was an enviable state of mind, a state beyond our comprehension. The highest praise we could afford an Indian cricketer for his gumption, his cricketing smarts, and occasionally his flawed character, was to say: he is almost a Pakistani. A Prabhakar autobiography would start thus: "As far back as I can remember, I always wanted to be a Pakistani cricketer." He didn't have the pace, but he swung the ball big. He reversed it. He leapt away from the stumps in his delivery stride. Like Imran Khan. He had a mullet. Like Imran Khan. Colleagues swore by his courage. If an opener was injured, Prabhakar would face the new ball. If an opener chickened out, Prabhakar would step up. In South Africa in 1991-92, when India were brutalised by Donald, Schultz, McMillan and Matthews, up stepped Prabhakar with 62 in over five hours to facilitate a draw. During it he kept asking McMillan if he was half-blind until the bemused bowler asked what the hell he was talking about. "Pitch it in my half too. Can't you see that half of the pitch?" As an opener, he averaged 35.48 in Tests and 34.02 in ODIs. Not bad for someone who was primarily a bowler. The flaws of Pakistani cricketers are their charms. In keeping, Prabhakar once gave up an ODI chase of 63 in nine overs with five wickets in hand, instead blocking his way to a hundred. He was banned for one match. Somewhat appealingly, somewhat mysteriously, he crusaded against match-fixing, carrying out a sting against team-mates. Politics and embezzlement followed post-retirement. Shastri was drinking one evening in Karachi, in 1983. (A friend of his had come from London with duty-free alcohol.) They were in Shastri's hotel room. He heard a knock. It was Sunil Gavaskar, the captain. "Will you open with me in this Test?" It was the sixth Test of the series. 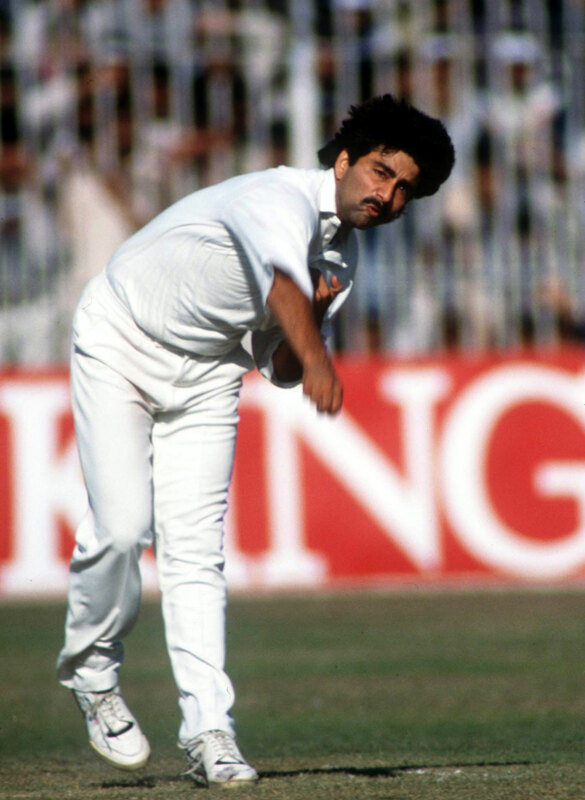 Arun Lal had scored a total of 100 in three Tests, Kris Srikkanth 28 in two. Shastri was 20 years old. He lost the booze immediately, replacing it with the high of an opportunity of a lifetime. Days later he scored a hundred against Imran, Sarfraz Nawaz and Abdul Qadir. A left-arm spinner who began his career at No. 10, Shastri loves to say he scored Test hundreds against two fearsome pace quartets. One is the West Indian, what is the other? "Imran, Sarfraz, Javed Akhtar and Khizer Hayat." 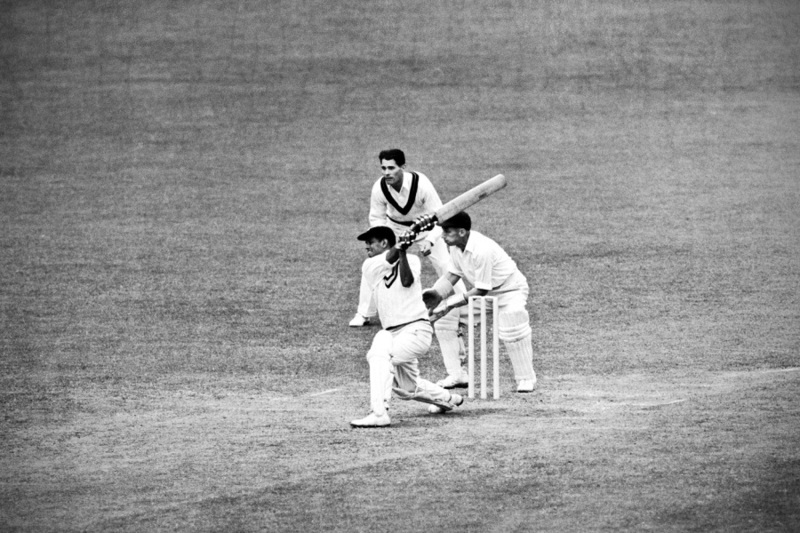 Shastri was English in his technique, his professionalism and his fierce ambition, but he was Pakistani in his homegrown methods, boastfulness, his way of getting things done, his sledging, his punching above his weight. He was positively dour when he batted, like Mudassar Nazar, but he also hit six sixes in a first-class over. Had Shastri been any more Pakistani, he would have come out of retirement at least once. As it was, his retirement - coming as it did at the age of 30 - surprised everyone. You will be hard-pressed to find an Indian cricketer with a higher smugness-to-skill ratio than Jadeja. You could imagine how annoying playing him would be. A limited batsman, especially against pace and swing, Jadeja played with his collar up, lips parted in an infuriating smirk; and he was a match-winner when he had no business being one. A bit like Javed Miandad, he might not always have been the man you wanted on your side, but he was the one you didn't want in the opposition. Behind the exterior was a shrewd brain. He loved fielding, even as a substitute. He didn't mind stepping out of his comfort zone. He always wanted to open but made his name hitting in the middle order. After the most Pakistani thing he did in his career - the 1996 World Cup quarter-final carnage against the arch-rivals - he said: "Look what they have turned me into. A pinch-hitter. A slogger." When banned for match-fixing, he didn't lose the smugness, appearing in movies, dance shows, providing incisive cricket analysis. Surely a captain India lost. Burewala. Gujar Khan. Sheikhupura. Many Pakistani small towns are known only for producing world-class cricketers who learnt their early cricket there, through some inexplicable junoon, and then enchanted the world. India was always more sterile, with players coming through coaching academies in big cities, where flair is smothered like the turn on a flighted offbreak. Only a handful beat that system. Ranchi was known in India only for its mental asylum until Dhoni made it famous the world over. He is the biggest Pakistani cricketer India has ever produced. Almost entirely uncoached, flipping the bird to convention at every step, he has become an ODI batsman as accomplished, chillingly calculating and psychologically damaging as Javed Miandad was. He loves taking a match into the last over, then turning it into a one on one. Then he hits a six early, one that rings around the stadium, a huge one. Then the world watches the poor bowler wilt. And Dhoni captains and keeps wicket. As with Pakistani cricketers, you cannot tell what he is thinking, what his next move is. You can't put anything beyond him. There hasn't been a more authentic "Made in Pakistan" hologram. Towards the end of his career he had put on weight, but he kept playing at Shivaji Park. Those were the days when crowds turned up for local cricket. A barracker called him Ganpati (for Ganesha, the Hindu elephant god with the generous waistline). He made his way to the boundary, identified the heckler and asked, "Do you want to see the trunk now?" Once, an established opener went to him for advice. "What is wrong with my batting?" He said: "Nothing. There is something wrong with the selectors who keep picking you." One day, after he had retired from the game, he was watching cricket and saw Nana Patekar, the Bollywood actor, heckling a spectator. He grabbed Patekar by the collar, and the two almost came to blows. Manjrekar was the original badass, a free spirit who couldn't stand fools; never short of a witty retort; giving his son Sanjay tough love. He learnt his cricket the regimental way but felt suffocated and shackled. He and Subhash Gupte were the mawalis - the ruffians and hooligans. Oh, by the way he was one of India's best batsmen against pace despite not being the fittest. Inzi anyone?